Commemorate National Adoption Month and nourish your soul at Children Awaiting Parents/Donald J Corbett Adoption Agency’s fundraiser. 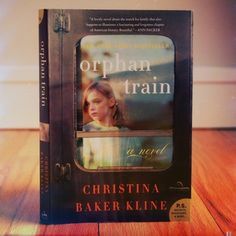 Listen to best-selling author Christina Baker Kline talk about her novel, Orphan Train, based on the history of trains that traveled to upstate New York and the Midwest from NYC. These convoys of children stopped at stations along the way where potential parents selected an orphan to adopt. These so-called Orphan Trains spawned the seeds of today’s foster care system. Attending this fund-raising luncheon lets you help a foster child lead a more hopeful and fulfilling life.